Hit the slopes with one of the Bretton Woods Ski & Snowboard School instructors and learn new skills or build on your current set! These programs are for adults and teens (13+); for lesson and programs for ages 4-12 please visit Hobbits Ski & Snowboard School. During the early- and late-season periods, schedules are subject to change and online reservations may be unavailable, so please call (603) 278-3303 for the most updated ski school offerings, availability and reservations. It's always good to try something new! Alpine skiing or snowboarding is a great way to enjoy winter with your family and friends. If you are already a skier or snowboarder - spread the word to your friends or family members who just haven't made the time to try it out yet. There's no better time than during our Learn to Ski / Ride promotions that are designed to get you geared up and on the slopes . Start the New Year off right, January is National Learn to Ski / Snowboard Month! For more information regarding these offerings please contact Bretton Woods Ski and Snowboard School at (603) 278-3303. All ski school lessons for the remainder of the 2018-19 Winter season (April 15, 2019) are private lessons only and with advance reservations. Start your day with a fun and easy introduction to the sport of skiing or snowboarding. 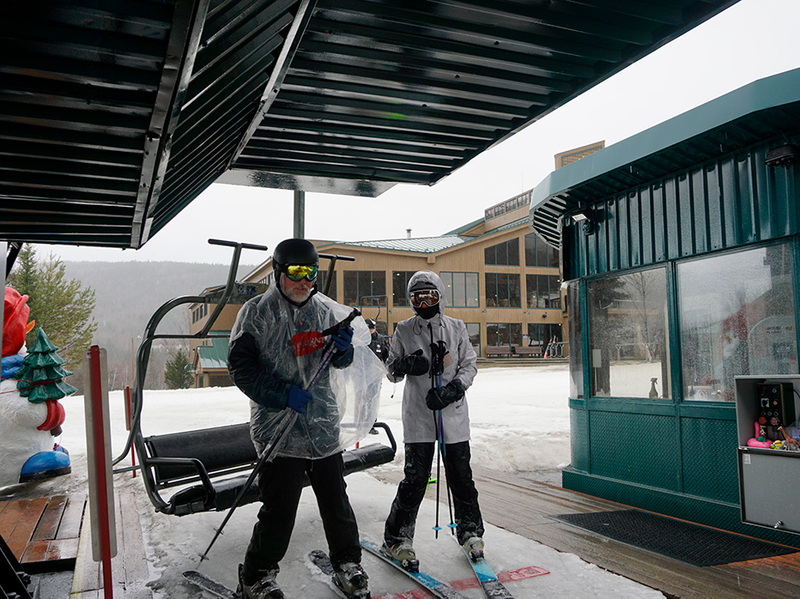 The package includes ski or board rental, a group lesson and unlimited access to the Learning Center Quad. Offered daily at 10 am and 1 pm. Each new skier or rider who completes their Learn to Ski or Ride lesson will receive a special Explore The Woods Discount Card*, which includes special benefits for the 2018-19 season including 10% discount at resort retail outlets, 20% off Nordic trail passes, rentals and lessons for the remainder of the season. For more experienced skiers and riders who want to hone their skills with some additional coaching. The package includes equipment rental, group lesson and an all-mountain ticket. Group lessons are offered at 10 am and 1 pm. Group lessons are offered at 10am, 11:30am** and 1pm. Each new skier or rider who completes their lesson will receive a special Explore the Woods Discount Card. The cardholder will receive a 10% discount at resort retail outlets and a 20% discount on rentals, lift tickets and ski school lessons for the remainder of the 2018-2019 ski season. In addition, the cardholder will have the opportunity to purchase a 2019-2020 Bretton Woods season pass for 20% off the early season price. Additionally all Explore the Woods cardholders will be invited to the Season Passholder BBQ in March 2019! Reservations will be charged 48hrs prior to arrival date. **Holidays and vacations weeks may be charged up to 7 days prior. ** Cancellations or changes made less than 48 hours prior to arrival will receive a full refund less a $35 processing fee. Cancellations or changes made less than 24 hours will forfeit the full cost of reserved activity, including those due to inclement weather or snow conditions.